Best souvenir in Fukui: Sastukigase senbei, the Monde Selection Gold Medal awarded confection. The confectionary “Satsukigase senbei” is the best souvenir when visiting Fukui prefecture. Awarded by Monde Selection for many years, there is a reputation for quality. You can enjoy a simply sweet and rustic flavor. It can be purchased in various locations as well as beautiful Japanese-style retail shops. 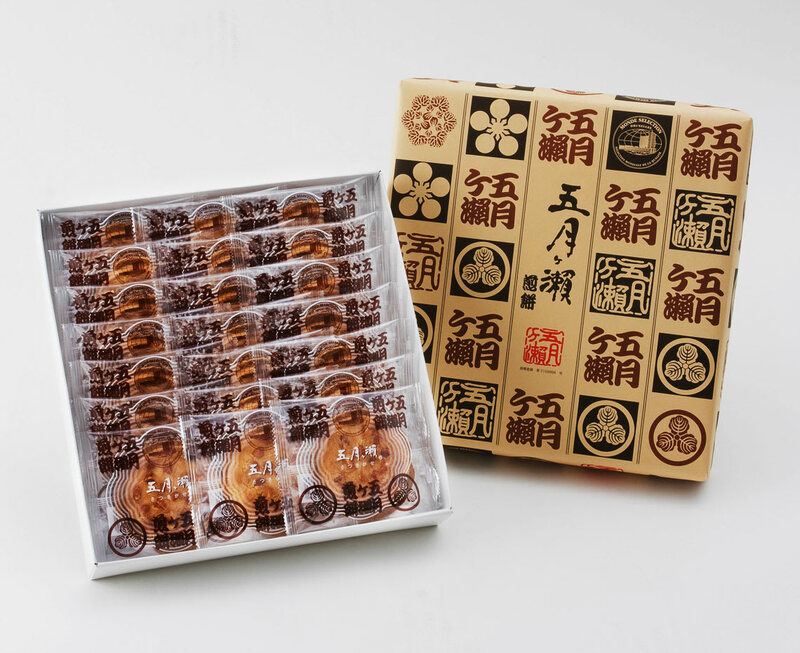 Satsukigase is a manufacturer of confectionaries representing Fukui prefecture which was founded in 1973, and Satukigase senbei is one of the top quality confections. Traditional senbei is usually made from rice flour, grill it over the fire, and brush/ dip in a soy sauce. On the other hand, Satsukigase senbei is a westernized senbei that would have a familiar taste that for overseas people are sure to like. It tastes similar to cookie wafers due to the main ingredients being flour, sugar, and margarine. In addition, this senbei is topped with peanuts, which is the essence of this confection’s flavor. Satsukigase senbei is a top quality confection made from the finest ingredients and baked one by one in a stone oven. It’s quality has been highly rated and reviewed the Monde Selection Grand Gold/ Gold Quality Award every year since 1995. 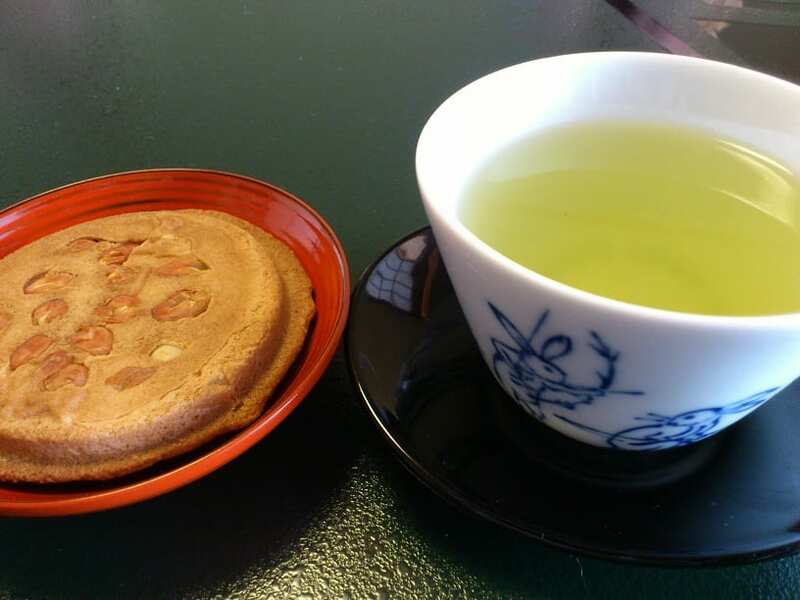 Satsukigase senbei has a distinctive crispy texture but different from cookies, and it matches well with green tea. Satsukigase senbei is available to purchase at manufacturer retail shops, such as “Funayose-an” and “ Haruye Sohonten (the main store)” . It is highly recommended to visit these stores that sell not only confections but also a calm and traditional atmosphere at beautiful buildings. 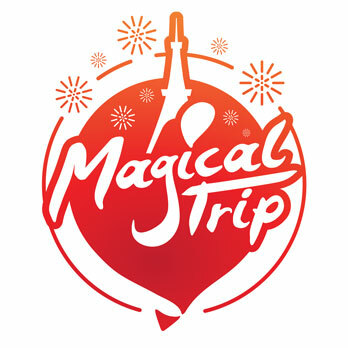 Access from Fukui station: 8minutes from JR Fukui station to JR Haruye station, 23 minute walk from Haruye station.